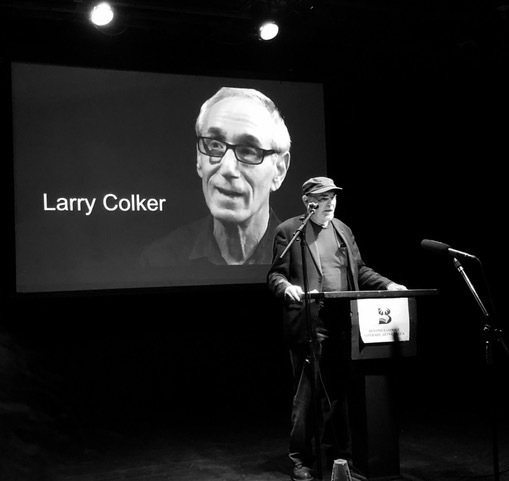 Last night, at Beyond Baroque, many poets from around Los Angeles gathered to honor the memory of Larry Colker, a poet who ran the Coffee Cartel poetry readings in Redondo Beach for 20 years. 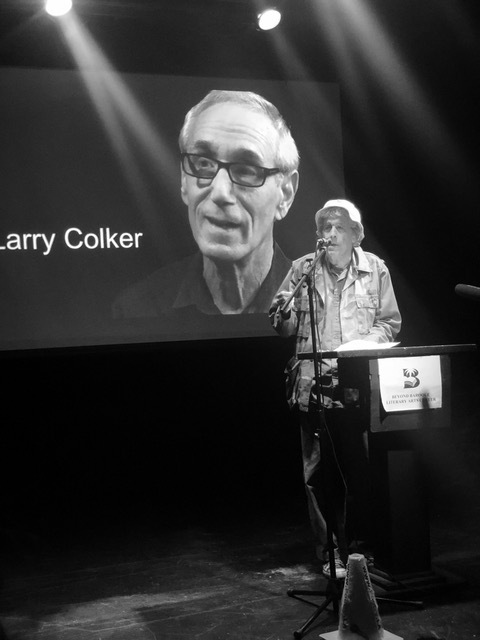 It was an extraordinary service to the community, and Colker managed to keep a sense of gracious humor and genuine enthusiasm throughout the marathon of open readings that bolstered the attendance for the featured poets, which included Richard Garcia, Charles Harper Webb, and many others. Larry had recently retired and moved back to North Carolina, but was diagnosed with late stage lung cancer, and died without most of us having much of a warning that he was mortally ill. 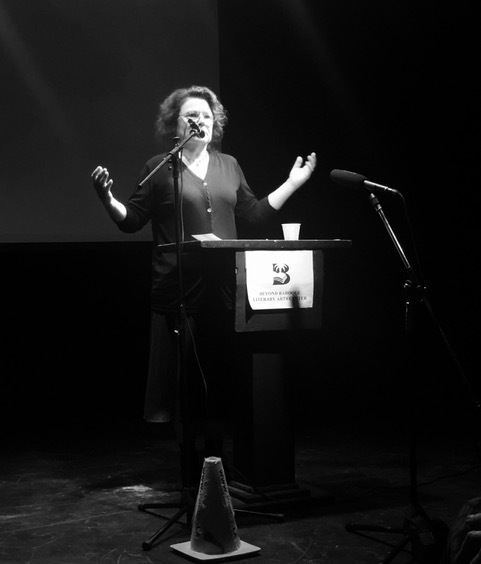 Thanks to the efforts of poets such as Elena Karina Byrne and Brendan Constantine, we were able to have an evening for the community to mourn his loss and affirm our gratitude for the gift of his life to poetry. Richard Modiano started the evening off by reminding everyone that Larry did more than lead the Coffee Cartel. He served with great distinction on the Board of Trustees of Beyond Baroque at a time when the Board was in need of devoted members, and one can see that Richard was all too aware of how no one but himself truly understood how much Larry’s contribution made a difference in getting Beyond Baroque that much closer to this anniversary year. Only someone in the day-to-day operations of a literary non-profit can know how one other person can determine whether an organization flourishes or merely survives. Because of Larry’s efforts, Beyond Baroque moved closer to flourishing. Other noteworthy poets who participated in the evening were Suzanne Lummis, Beth Rusico, Cathi Sandstrom, and Michael C. Ford. Thanks to Alexis Rhone Fancher, and with her permission, here are some photographs of the event. 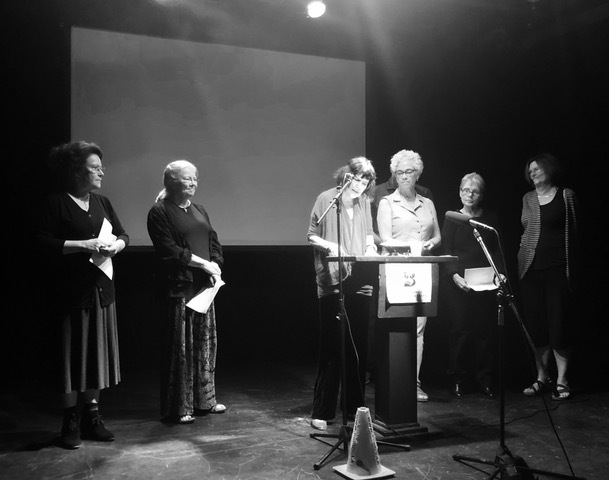 In order, from the top photograph down: Richard Modiano, poet and Artistic Director, Beyond Baroque; Beth Rusico; Michael C. Ford; Cathi Sandstorm; and Suzanne Lummis at the podium with other poets. All photographs, copyright (c) Alexis Rhone Fancher, 2018. I noted that the other two blurbs were written by Cecilia Woloch and Charles Harper Webb, both of whom were central to Larry’s experiences as a poet studying with other master poets at the Idyllwild Poetry Festival. Larry’s life as an audible presence in our community was hardly limited to Redondo Beach. 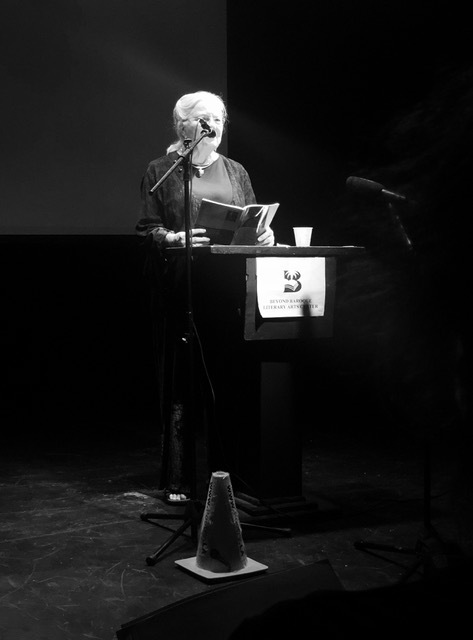 In one of the photographs below, Cathi Sandstorm can be seen reading one of Larry’s best poems. I told the audience last night that I had been reading that very poem earlier in the day and that I had heard Larry’s voice adding a line to the poem. Indeed, he is still present in our lives as working poets. It was originally published in The Sun magazine. Posted on September 16, 2018 by billmohr. This entry was posted in Obituaries and tagged Larry Colker. Bookmark the permalink.